Literally countless times each day Im asked if heels are good or bad for you. For the most part, like everything else, moderation is key. High heeled shoes will not kill you ( though the pic above may be a close call). They do, however make the wearer prone to certain painful conditions. I found this image courtesy of a womens advocacy group, tree huggers. It illustates the massive burdern on the ball of the foot, exacerbating hammertoes, bunions, especially neuromas. The Achilles tendon here is contracted. Over time and consistant use, these deformities can become debilitating. According to a recent study published in a British medical journal, the amount of training required to run a marathon may actually be detrimental to your health. Researchers discovered that high intensity exercise sessions lasting over an hour could overload the heart, increase free radical formation, ultimately contributing to ong-term problems. What is the distance runner to do? The answer is fairly simple,moderation.Dovetailing your cardio, your short , high intensity and long long intensity ( anerobic and aerobic ),strengthing your core and working your flexibility.Training so you aren’t just running all out all the time; Cross training with alternative activites like swimming, rowing and bikin, making time for adequate rest and repair after all activites. Most importantly, listen to your body, go to your podiatrist early on when you’re experiencing foot or ankle pain. The staff of Emerald Coast Podiatry, Dr. Ricciardi and Dr. Squatrito are here to help. 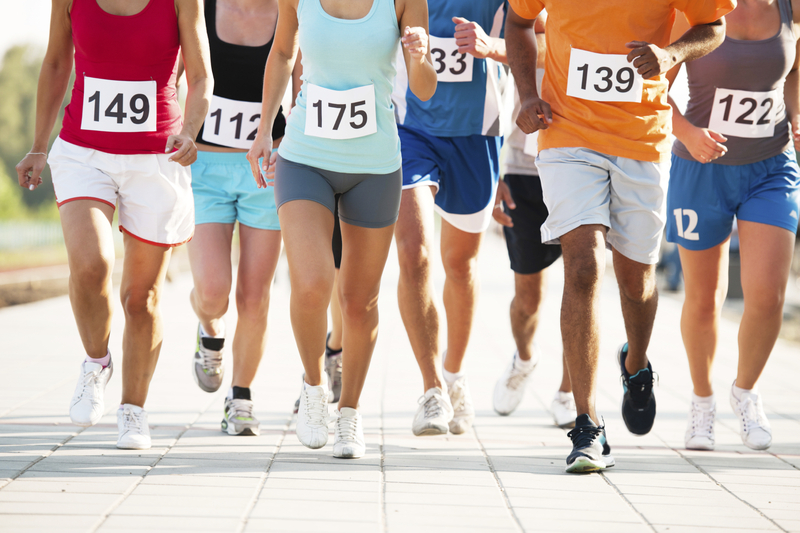 With a long history of running, triathlon, and athletic acthievements, the doctors at Emerald Coast Podiatry know first hand the needs of runners and athletes. Come in and share your concerns and stories. We are going live with our blog posts tonight. It is our goal to keep you informed on all aspects of your foundation the care of you feet. We have been sending out articles, mostly research. I will be giving my take on future articles like these, as well as more fun topics. So check in frequently, send me your comments, your thoughts and the topics important to you and your family. We are going live with our blog posts tonight so welcome and thanks for reading It is our goal to keep you informed on all aspects of your foundation, the care of you feet. We have been sending out articles, mostly research. I will be giving my take on future articles like these, as well as more fun topics. So check in frequently, send me your comments, your thoughts and the topics important to you and your family. How long does it take to heal a broken foot bone? A general rule of thumb for a broken bone to heal is six to eight weeks. No matter how much or how well you want to negotiate the healing time to get back to running and other exercise, the time frame is dictated by your body. If you have risk factors or the break is in a bad area it can be even longer. You can help by following Dr. Ricciardi or Dr. Squatrito's advice, carefully caring for the fractured foot. Each foot is comprised of 26 bones. There is a combination of long bones and others that are more irregular. The foot also is at the literal end of the circulatory system, with the smallest vessels providing the bones' blood supply. These factors will provide some variation in healing times.